Free RBG940 Grit Collector keeps your shop clean and neat! GRINDERS ARE SENT INSURED AND SIGNATURE REQUIRED FOR DELIVERY!! FREE SHIPPING AND A FREE GRIT COLLECTOR!! 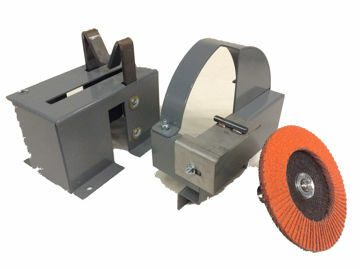 7" Fast Grind Grinder ability to sharpen both mulch and standard flat blades!